My first reaction to this was that it is a cool idea, and the commercial is cool. Originally, I was only upset with the commentary surrounding it, from “Girls that can do this should go to Harvard!” (which assumes that only exceptional girls can build cool things) or “This product is going to get girls into engineering (as if the choice of toys is the only thing standing in the way of girls becoming engineering, nothing structural going on). Looking at this and thinking about it more, and it is a good gesture, but it is kind of ticking me off. First of all, the actual toy. It doesn’t look like you get much for the money. 34 pieces and a book. Apparently there are 9 design ideas, although the pictures all look pretty much the same. 250 pieces, 10 designs. As you can see, there is a lot of variety. I don’t have any girls, I am the mother of three boys. I have 2 boys that love LEGO and K’Nex. The oldest boy prefers to read. But when those 2 boys play with LEGO or K’nex, they may build the model according to the plans once (and they may not), and then they throw the book aside and mod it to their hearts’ desire. 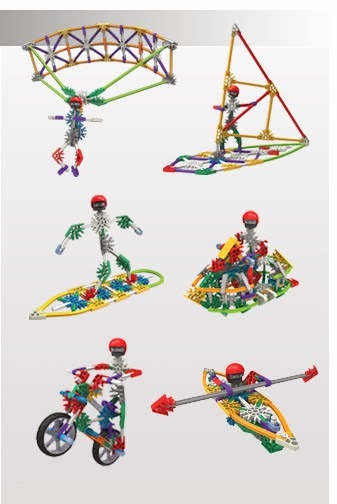 With 250 K’Nex, the possibilities are endless. With 33 Tinker Toy-type pieces? Not too many different designs. This does not necessarily make it a bad toy, but the creators are marketing it as engineering launch pad. It seems to me that modding toys is an important cognitive step towards a passion for engineering. In that respect, this toy falls short, in my opinion. I really saw red when I watched the behind the scenes video for the commercial. The people who actually build the Rube Goldberg machine are almost all men!! So, yes, the girls are allowed to play in the men’s world, but the men still design the game. I see three women, maybe four, and they all seem to have more background roles, except the camera-woman. ALthough at one point, even she is being directed by the man. This is a male vision. Even the interviews with the girls are conducted by men!! Isn’t it important for girls to see strong, capable women in engineering roles if we want women to cross into engineering? According to this article, one of the most important factors to get girls into science is the presence of female role models. Another thing, I am concerned with the notion that an ad will change a girl’s career trajectory. Think I am being hyperbolic? No one would argue that an ad or a toy will have that level of influence? This is a well-intentioned but misguided argument, that with a few tweaks, everything will be okay for women.Toys and ads and representations are enormously important. There are many barriers for women and girls.Stereotype threat is very real. If girls believe they are bad at math or science, they may do worse at these subjects, or claim they are uninterested in order to skirt the failure they expect to experience. Math teachers may have different expectations or attitudes towards boys and girls. My friend’s daughter is enrolled in a school for STEM (Science, Technology, Engineering, and Mathematics). Her daughter took an engineering course in her freshman year and liked the content. However, the teacher explained that college engineering professors are really brutal towards women (thanks for creating a potential confirmation bias), and so he then (not sure if this was conscious or not) treated her in such a way that she got turned off from wanting to pursue engineering. I think that giving girls cool toys that inspire imagination is great. I also think we already have lots of them. So, maybe we could start marketing building toys to girls? But we cannot forget that there are systemic and structural forces that need to be challenged in order to really get more girls and women into STEM. But not as much any more. 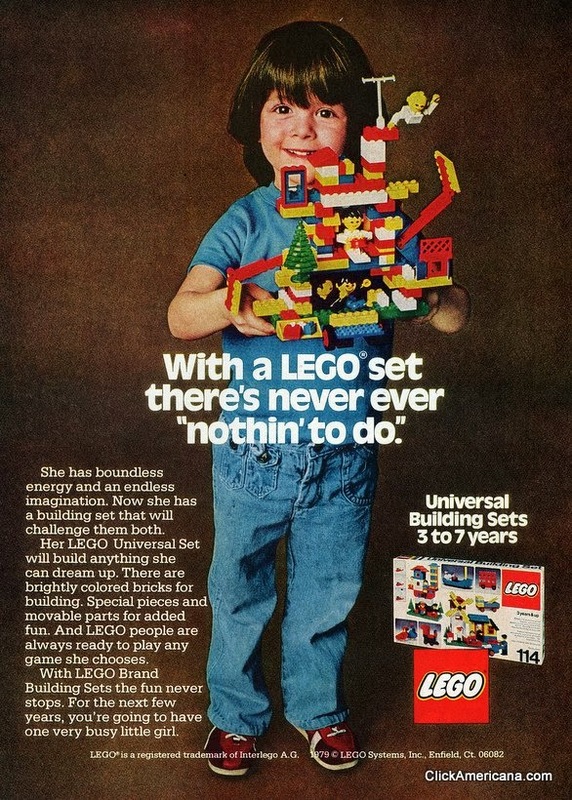 After a lot of outcry about the LEGO Friends line, LEGO did try to recreate this ad. Commentary can be found here and here. 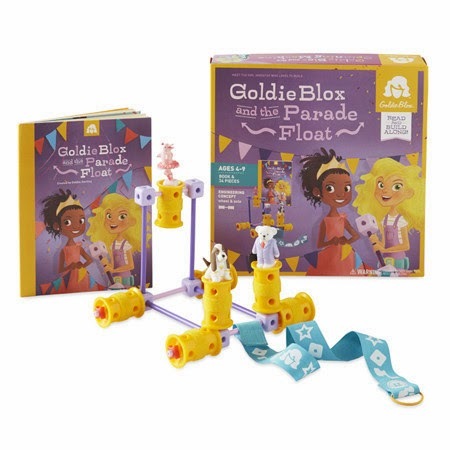 GoldieBlox I get what their saying and I appreciate the attempt. However, I think it feeds into a common trope. Stephanie Coontz coined the term “The Hottie Mystique,” which is the idea that girls and young women are now able and expected to achieve greatness, and do everything men and boys can, but with the added pressure of looking hot and being a sexual object at the same time. So, why in this day and age are we still pushing the princess ideal? 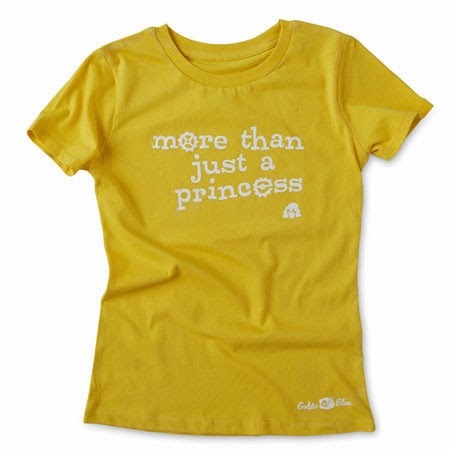 Notice the message isn’t, “not a princess” it is “More than Just a Princess” which reads (to me anyway) as, “Yes, I am a princess, but I am also more. That is the end of my rant. I am not the only one who is upset by this, but others have found other very good reasons to question this campaign.